We use only the finest materials available for our brake line components and we develop, design, and manufacture the lines in our Dayton, OH. facility. 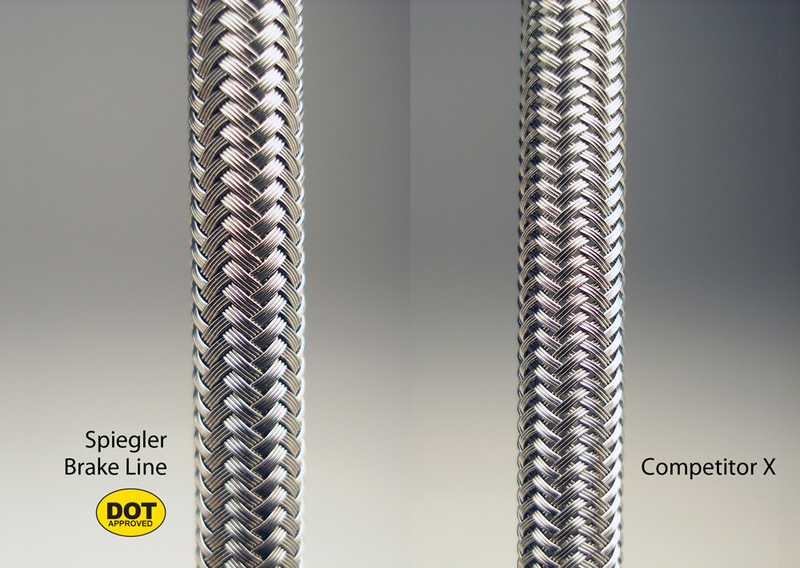 From the unique Torsion Fitting System to the Lifetime Warranty, Spiegler provides the best brake line system for your bike. Unique patented adjustable banjo fittings eliminate line twist during installation. Each Brake Line kit comes equipped with special tools.